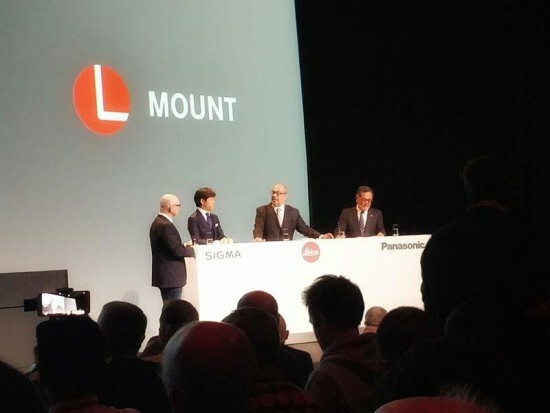 The ‘L-Mount Alliance’ between Leica, Panasonic and Sigma is a previously unparalleled form of collaboration that will particularly benefit the customers of all three partners. The collaboration enables Panasonic and Sigma to make use of the L-Mount standard developed by Leica for their own developments and to offer both cameras and lenses utilising this lens mount. The three companies have also launched a dedicated L-Mount Alliance website. The L-Mount Alliance: a strategic cooperation between Leica Camera, Panasonic and Sigma Cologne, 25 September 2018. At the company’s press conference prior to the opening of photokina 2018, Leica Camera AG, Panasonic and Sigma announced a strategic partnership. The ‘L-Mount Alliance’ is a previously unparalleled form of collaboration that will particularly benefit the customers of all three partners. The collaboration enables Panasonic and Sigma to make use of the L-Mount standard developed by Leica for their own developments and to offer both cameras and lenses utilising this lens mount. As a joint effort of all three partners, this alliance will increase the importance of the L-Mount technology to the world of photography even further. The L-Mount was developed by Leica Camera under the proviso of providing customers with a future-proof, flexible, robust and precise bayonet mount that would fulfil even the most demanding photographic needs. Since its initial appearance in 2014 within the Leica T, development of the L-Mount was continued by Leica as well as by its strategic partners, which led to significant improvements and therefore an effectively new and more polished L-Mount technology.